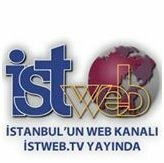 News TV Channel / İstanbul Büyükşehir Belediyesi is the public entity that conducts the municipal affairs of the borders of Istanbul. Istanbul City Hall is located in Saraçhane. Kadir Topbaş, the mayor of the metropolitan city, resigned on September 22, 2017. On September 28, 20147, Mevlut Uysal was elected as the new president by the IMM Assembly.